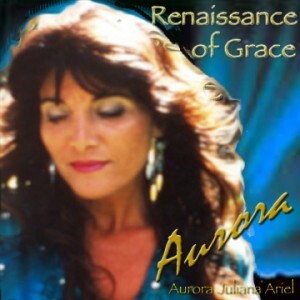 Exotic vocals of Aurora with Bruce BecVar weave a mystical blend that is both uplifting and inspiring, transporting us into a brilliant world of transcendence and light. Talented musicians grace this gypsy world music album including renowned multi-instrumentalist, Bruce BecVar; Percussionist Rafael Padilla; Peruvian Shaman, Tito La Rosa on Andean Pan Pipes; Gypsy Violinist – Don Lax; and Brian BecVar on Synthesizer. This is Nuevo Flamenco music AT its finest. 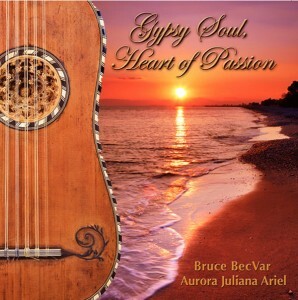 Fast paced songs drop down into haunting melodies in an exotic blend of gypsy guitar (Bruce BecVar) and transcendent vocals (Aurora and Bruce). Talented guest artists weave their magic along with Bruce’s multi-instrumental magic: Percussionist Rafael Padilla; Peruvian Shaman, Tito La Rosa on Andean Pan Pipes; Gypsy Violinist – Don Lax; and Brian BecVar on Synthesizer. A magical weave of guitar, instrumentals, and exotic vocals, this album has been highly acclaimed for the SPECTACULAR LOVE and TRANSCENDENT JOY that fills every note, carrying you into a world of romance, beauty and light. This music uplifts and inspires, enchants and awakens… And keeps you coming back for more! Krystofer has a rare talent… he receives his inspiration from angelic realms. Grown men have weeped, women have successfully made it through rehab, others have felt healed, uplifted, calmed, or inspired. Translated into deeply moving, rich melodies that take you to a place of peace and transcendence… this music is unforgettable.